TJ graduated from WAAPA – http://www.waapa.ecu.edu.au/ in 2008, debuting as Demetrius in Shakespeare WA’s A Midsummer Night’s Dream for which he received an Equity Guild Awards nomination for Best Newcomer. His first feature Wasted on the Young (WBMC) was nominated for Best Film at Sydney Film Festival 2010. TJ then played Javier Bardem’s son in the smash hit Eat, Pray, Love (Columbia Pictures), directed by Ryan Murphy and starring Julia Roberts, followed by The Sapphires (Goalpost Pictures), which won 11 Australian Film Academy Awards (AACTAs). His next feature The Little Death garnered him an AACTA nomination for Best Supporting Actor; his most recent US feature Halfway (JP International) is scheduled for release in April 2017 and TJ stars in the sci-fi thriller OtherLife (WBMC), which is currently in post-production. TJ is perhaps best known to Australian audiences for his role as the handsome lawyer, Will Bowen, in the much-loved Aussie drama, Offspring, (Southern Star Entertainment) screening on Channel Ten. TJ’s other TV credits include: miniseries Molly (Mushroom Pictures), TV series Underbelly – Razor (AFFC) and the TV movie Parer’s War (Pericles Film Productions). Theatre credits include The Spook (Blue Room) Les Liaisons Dangereuses (Sydney Theatre Company) and Summer of the Seventeenth Doll (Belvoir St Theatre). 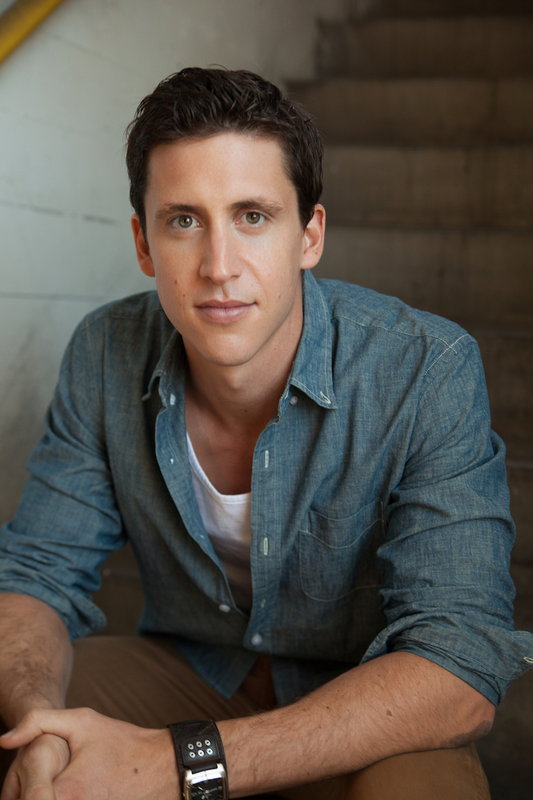 You grew up in Sydney with a love for music performance and performing arts and then studied acting at WAAPA. Who or what inspired you through your early years to explore your passion for performing arts and what activities did you participate in whilst you were at school to build your career? I was fortunate enough to have very imaginative friends as a child and I honestly believe that is what inspired me to pursue a career in performing arts. My best friend and I would put on satirical political debates and perform them to our class. (Coincidentally, that friend is now a political correspondent for a major news network). It was this sense of PLAY and imagination that funnelled into and fuelled my passion for performing arts in the beginning and still does today. As you can imagine, I was also fortunate to have teachers patient enough to indulge us in our games, which gradually turned into encouragement, and of course, as a child, if someone says “you’re really great at that” you feel good and want to do it again. I became the “performer kid” at my school, I was involved in the school band and even had our own rock band. I was a part of every school musical and play and of course chose Drama as an HSC subject. During those years, everything was for fun and that’s important because if it’s not fun, you won’t learn. My friends and I would make stupid films and because we had nothing to lose we would try new things and test the boundaries. There is so much at your fingertips at school so use it all! Try it all! During your time at WAAPA and after graduating in 2008, what steps did you take to pursue your career? Firstly, for anyone serious about pursuing a career in the performing arts, you need training. I usually respond to that with a “sorry, I’m out of ideas,” because if you can’t invest in yourself, like you would in any business, then you probably don’t have what it takes to get through the tough times. And show business is tough. You’ve heard that a million times because it’s true. So let yourself be terrible, learn, and get better. It’s a fantastic time of your life – getting good at what you love! Also, and this is key, the easiest way to secure an agent is by graduating from a good drama school. All the agents come to showcases to draft their new talent. That’s how I scored my agent who I am still with today. In terms of post drama school, I usually attend the MEAA (Actor’s Union) events that are held quite frequently (when I’m in Australia). They are free for financial members and, yes, sometimes can be hit & miss, but most often I take home a gem or two and I have met a bunch of like-minded creative souls who I may work with in the future. I also have found a great coach here in LA (Los Angeles). They are expensive so I don’t use them often but if I have a call-back for a really important audition, then I think it’s helpful to have a third-party view your performance and ‘jam’ the scene with you so you can come up with something unique. If you can’t afford a coach, a fellow actor (who you trust & respect) is just as good in most cases. You achieved success relatively quickly in the theatre and film industry, performing in plays, acting in the internationally acclaimed Eat, Pray, Love film opposite Julia Roberts and Javier Bardem, receiving nominations for Best Actor at the WA Screen Awards and Best Newcomer at the Equity Guild Awards, and then receiving an honourable mention for your first feature film Wasted on the Young at the Sydney Film Festival – all within 2 years of graduating. Besides talent and hard work, what do you attribute this success to? Luck. There, I said it: dumb luck. Hard work, practice, patience and talent is all a given at a professional level. You need to have it all so that when opportunity finds you, you are ready. I just happened to be boyish enough, have big googly eyes like Javier and be ‘ready enough’ to land that role on Eat Pray Love. Knowing that is as liberating as it is frustrating because while you can do everything in your power to be ready, in the end being lucky has nothing to do with anything in your control. Early on, I tended to try to do everything “right” but learnt that there is ‘right’ and then there’s ‘smart’. Be smart. Don’t sign up for every hack’s acting workshop. Research, be discerning, and listen to your instinct. DO take every opportunity that comes your way, though. I did short films for friends, independent theatre; whatever came my way because I understood that work breeds more work. I did a small, unpaid gig in January one year, and in September that director was talking to the director of a main stage production and suggested my name. I have scored a lot of work this way. This brings me to ‘networking’. I’m not good at it. I don’t want to be a “foyer actor” (someone who does as much acting, or more, in the foyer as they do onstage) but you do need to be a people person, because, quite simply, this is a business of relationships. So I don’t schmooze, I think it’s gross and the real pros see right through it, but I make an effort to be kind. It goes a long way. Between 2010 and now, you have been able to bring to life emotionally, socially and culturally complex characters through film (e.g., The Little Death), television (e.g., Offspring) and theatre productions, including Summer of the Seventeenth Doll. How do you psychologically prepare yourself to be able to play such complex characters and then how do you psychologically unwind yourself from the character once production has finished? Going back to the first question: Imagination. After the initial “what the heck have I gotten myself into?” has calmed a little, I sit somewhere quiet and let my mind wander. No rules, no expectations. I just fall into a state and let my imagination take over. This is hard to explain but I once heard Anthony Hopkins say he reads the script about 300 times just to let it sink in – it’s kind of like that. I empty my mind and let all the thoughts, feelings, ideas, desires etc. flow in. I do come back to this later in the process but then the ‘work’ starts. I comb the script for clues, make lists, research, do the necessary skills training if required, find hooks (keys into the unlocking the character for yourself) and do whatever methodical preparation is necessary. I like to “over-prepare, then go with the flow.” Meaning: Cover your bases, then play! A little cliché but when all the work is done, you have to be present in the scene, otherwise you get those “great performances” but you see someone ‘acting’… which is stiff and boring. Unwinding is easy for me. There is usually such an adrenalin overload while I’m working that once we’ve wrapped, I crash for a weekend (or party!) and by Monday or Tuesday I’m ready to go again. I’m not one for holding on to things. Throughout your career, you have worked alongside some of the most respected Australian actors and coaches in theatre, film and television. Have there been any particular people you feel have assisted you to further develop your skill set and acting techniques? Leith McPherson – my voice lecturer at WAAPA and one of the best humans to walk this earth. She gave me a love and respect of text and the skills to communicate to an audience. If you get an opportunity to work with her, take it! Molly Knight – a talented actor and close friend. She taught me that every scene is a love scene in some way. The love for another, for your family, your job, a break-up, yourself, friends, heartbreak, betrayal, first-sight… Think about it. It’ll change everything! Ben C Lucas – Director of Wasted on the Young and OtherLife. He taught me to respect myself as an actor and back my choices. Very important – otherwise you waste your time trying to please others. Javier Bardem – Eat Pray Love. This guy is more generous than he needs to be. He taught me that ‘making an offer’ is not for your own benefit, but to benefit the other actor and therefore the scene. He would surprise me on set to get authentic reactions out of me and made an effort to develop a friendship so it was visible on screen. Kevin Carlin – Director of Molly. He demonstrated that a positive and productive working environment starts from the top. Having a happy work place is SO important! So make an effort to make your fellow cast and crew feel good and they will make an effort to make your job easier! Samuel Johnson – Molly. He is a perfect example of bringing yourself 100% to the table. He made me see that everyone is doing a great job so you can’t afford to relax and ‘phone it in’. Show up, speak up and be present! Congratulations on receiving an AACTA (AFI) Nomination for Best Supporting Actor in a Feature Film, The Little Death in 2015 as well as being an AIF Health Ledger Scholarship Finalist in 2015. What have been some of the highlights of your career journey so far? It’s nice to receive nominations or praise but the best part for me is the actual work. For example, actually shooting those scenes in The Little Death was a highlight. I remember thinking that we were doing something wonderful and that was inspiring. Hearing an audience laugh or gasp, especially during a theatre performance is like the wave that hooks you on surfing. Those moments are the highlights for me: the real-time proof that your work is affecting people and that what you do matters. It sounds corny, but the best parts of this job are the places you go and the people you meet. That’s what keeps me knocking on doors and focused. I’ve been lucky to see a lot of the world through my career and have met some of the best people on the planet who I now call my friends. I was enamoured by the magic of movies as a child and still am today, but I remember thinking “actors get to do everything!” and realising that if I became an actor, I wouldn’t have to choose just one job, but could try a lot of different ones. Of course, we only pretend to be an astronaut or a martial artist, but I thrive on learning new skills and don’t see it as work at all. If I’ve missed out on a job that meant a lot to me, yes, it’s a tough pill to swallow, but it helps to keep in mind that it’s not up to me. If it was, this life would be very different and everybody would be doing it. I find that if I keep looking forward it’s easy to let things go and stay motivated to get to the end goal. In the last year or so I’ve been working on a feature length script that I hope to see made in the next few years. I have also written a short film comedy and am currently in the process of gathering a team to get it made. It will be my directorial debut. Theatre is more an actor’s medium and film is more a director’s medium. Because I like being in the thick of the action, the ultimate goal would be to play the actor on stage and the director behind the camera until I kick the bucket. Speaking of buckets, an action film set in outer space is definitely on the bucket list! There is one school of thought that says, “have a back up plan” and another that says, “don’t have a back up plan” (presumably because you will succeed out of sheer necessity). I think somewhere in the middle is a good plan. I started out with the latter idea and it took me a while to realise that if I didn’t at least have something else to put my energy into during the quieter periods, I would soon go crazy. Whether that is music, real estate, writing or aqua-aerobics, it doesn’t matter, you need a distraction to let the motivation re-charge naturally. So I say, go in 100% but have something on the side that sustains you creatively, intellectually and maybe even financially. Personally, I found that when I create something (writing a song, writing a script or woodworking) that instantly pulls me out of any slump and puts me in a positive mindset. Also surrounding yourself with good people is a must. If you have to get a side job, pick one that is flexible enough to let you devote time to your main goals, but will also make you feel good about yourself. Don’t do the midnight shift just because you have the days free to audition: No one hires a tired kid who hates life. Again, be smart. To touch on ‘training’ again, I really recommend it. Yes, people can be ‘discovered’ but it’s RARE. I live in LA now, and of course a lot of wannabes flock to this town with big dreams but no experience. Unfortunately that’s not enough. I can’t count the number of times casting directors have responded positively to the fact that I am a trained actor. It makes me wonder about all the terrible auditions they’ve had to sit through of actors who they will no doubt never call again. Put simply: just get good at what you do. You won’t have a ‘secure’ career. That is a fact. The highs are high and the lows are low. So if that’s important to you, choose a more ‘secure’ career path, if there is such a thing, but if you’ve found your passion and it’s in the performing arts, the whole journey is a worthwhile and rewarding experience. Find the joy in it, be smart and go for it! You are currently living in LA and also engaging in projects in Australia. What initiatives are you currently working on that you are excited about and do you have any future projects you will be working on that you can share with us? Right now, the prospect of directing my first short film gets me up in the morning. It’s exciting to have a project like that to inspire you. I will be coming back to Australia in 2017 for another season of Offspring. Again, really looking forward to that because the cast and crew are beautiful people and I feel so lucky (that word again!) to be a part of it. I pop my head into an American show in early 2017, although they are quite secretive about it all in Hollywood and often make you sign NDA’s (Non-Disclosure Agreements) so no one spills the beans. And there are two feature films coming out in the next little while: “Halfway” directed by Ben Caird – an independent film shot on a farm in Wisconsin, and “OtherLife” a sci-fi thriller directed by Ben C. Lucas who also directed my first ever film, Wasted On the Young.